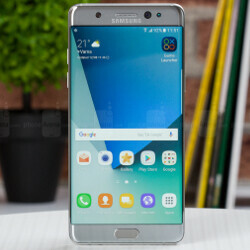 Aside from the new information regarding the availability of the Galaxy Note 7 replacement units in the United States, Samsung and CPSC (Consumer Products Safety Commission) confirmed the number of incidents in the country related to the flagship smartphone. Apparently, Samsung has received 92 reports of the batteries overheating in the US, including 26 reports of burns and 55 reports of property damage, including fires in cars and a garage. If you don't remember, we reported less than a week ago that Samsung has received “over 70 reported cases of Note 7 batteries overheating in the US,” but the information hasn't been officially confirmed by the South Korean company. Well, it looks like the number has just increased to 92 in a matter of a few days, which proves that using the Galaxy Note 7 is a dangerous activity. Obviously, Samsung and CPSC provide a solution to the issue, which is pretty simple to say the least: stop using and power down the recalled Galaxy Note 7, if it's been purchased before September 15. According to Samsung, the Galaxy Note 7 replacement units will arrive in the US no later than September 21. They will be available at selected stores and carriers for everyone to take advantage of the exchange program Samsung announced earlier this month. 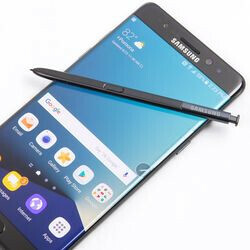 About 1 million Galaxy Note 7 units were recalled in the US, but not all customers who purchased one have devices to replace them with a new one since Samsung also allows them to switch to another Samsung smartphone or simply ask for a refund. Keep in mind that if you're not sure whether or not your phone has been recalled, you can determine that verifying the IMEI number into the online registration site (www.samsung.com). Although I know only Note 7's have the defect, it really makes me wonder if some people will never touch Samsung phones again. Obviously, us tech geeks don't give a damn. But this really may ruin the public's perception of the brand. I wonder if it's all Note 7 that they're referring too. Either way Sammy will take a really bad hit from these. Not quite that bad. Samsung's entire mobile division could go under, and they would still be crazy profitable, with hundreds of various companies and subsidiaries. I got an e-mail too. Replacements are in installments. It's about time - in a week or two, hopefully sooner. Yeap I'm tired of hearing this story. That's the only reason I want a replacement for and not for the safety reason. 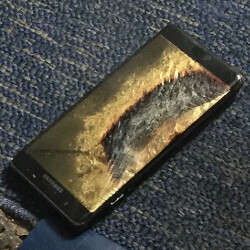 I am surprised you are excited to receive another note 7. This note may be safe, even perfect but it has gain a stigma that no sane individual would use it as their daily driver. I would return it and wait for the wind to blow over before using another Samsung handset. But you are still using apple chargers even though they also have been recalled in hundreds of thousands? Does the Apple charger has the same stigma as Note 7 where airlines could stop you from using your Note 7. A stigma that every news outlets is broadcasting it's recall. 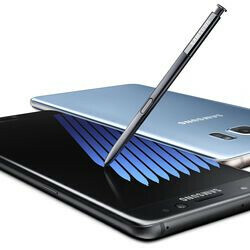 You want to use Note 7 go ahead and experience it's folly in all its glory. Should people start purposely burn their phones to get some mad payouts/rewards later? Typical S-fanboys. 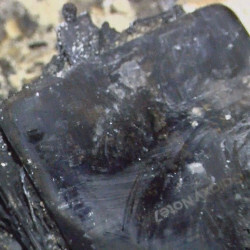 Samsung's are exploding left and right, and their only argument is 'iPhones also explode'. No excuses. There's an issue, Samsung stepped up and took responsibility. It's being taken care of. Whelp, they are fixing it, so yeah, though 100 is still very low out of a million units, you'd think the number would be higher with the reactions it is getting, being banned and whatnot, yes, to be clear, it shouldn't happen and recall should be done, but reactions still seem overboard. As in people are reacting like it is a grenade.. It IS a grenade......don't down play the severity of the situation. I am not, and it is not, it is serious, turn in your device for the recall and that's it. But a grenade with only a 1:10000 chance of blowing up is not really a grenade..so yeah...go get it traded, do what Samsung recommends, meaning copy out data and power it down, you will be fine. A grenade has 100 percent of not exploding if you don't put its pin, unless the Note 7 that blows up if simply breathe on it. Right....... how can you stop note 7 from exploding again? That wasn't written on the manual clearly. 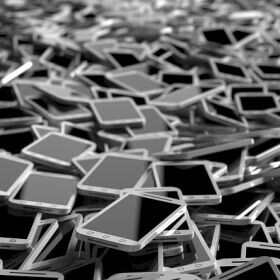 What's really pathetic is that so far not one top level Samsung executive is truly sorry for the Note 7 disaster, and the pain inflicted upon the company. Fact is, we just knew it's been a recall due to fire. Why do people think the problem was any different from the first day of the recall? That's why there is a recall. Just got my email of the cspc approval and the new notes are on the way.